Climate Change Science Section, Center for Oceanic and Atmospheric Research (COAR), Research Institute for Applied Mechanics (RIAM), Kyushu University primarily researches to elucidate climate change due to atmospheric substances. We especially focus on climate change due to aerosols and clouds and behavior of trace gases including greenhouse gases. We study with graduate students in Department of Earth System Science and Technology (ESST), Interdisciplinary Graduate School of Engineering Sciences, Kyushu University and various international and domestic colleagues. 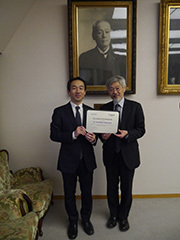 A master-course student, Akihiro Honda, received Award of Interdisciplinary Graduate School of Engineering Sciences, Kyushu University, due to excellent grades and a master thesis. A refereed paper has been published in Scientific Reports, which was written by Prof. Takemura as a first author. A refereed paper has been published in Journal of Advances in Modeling Earth Systems, which was written by Assisstant Prof. Michibata as a first author. 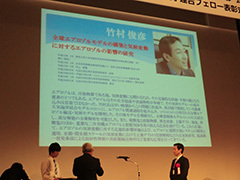 Prof. Takemura received the Japan Academy Medal and JSPS Prize. A refereed paper has been published in Atmospheric Measurement Techniques, which was written by Assisstant Prof. Eguchi as a first author. 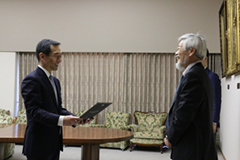 It has been decided that Prof. Takemura receives the Japan Academy Medal for giving formal recognition to outstanding young researchers, while encouraging them in their future work. Awardees are selected from recipients of the JSPS Prize. 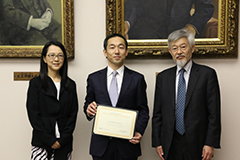 It has been decided that Prof. Takemura receives the Japan Society for the Promotion of Science (JSPS) Prize for recognizing and supporting young researchers in order to raise the level of scientific research in Japan to the world's highest standard. An introduction video of Kyushu University "Countless Ways to Connect" is released, in which Prof. Takemura appears. The total citations of Prof. Takemura in the academic database Web of Science are over 10,000 times! 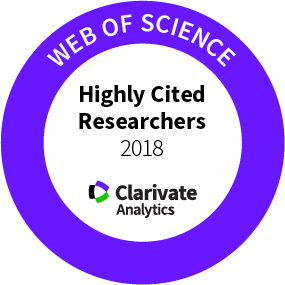 Web of Science is the database for selecting Highly Cited Researchers by which Prof. Takemura is consecutively listed. The total citations of Prof. Takemura in the other database Scopus have been over 10,000 times. 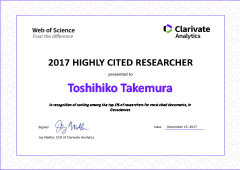 Prof. Takemura is listed in Highly Cited Researchers 2018. This is 5-years consecutive selection for Highly Cited Researchers. In Highly Cited Researchers, authors writing highly cited papers are listed in each research field, and Prof. Takemura is listed in Geosciences. "Air Pollution in Asia and the Pacific: Science-Based Solutions" has been published by United Nations Environment Programme (UNEP) / Asia Pacific Clean Air Partnership (APCAP) / Climate and Clean Air Coalition (CCAC), in which Prof. Takemura is one of the authors. The total citations of Prof. Takemura in the academic database Scopus are over 10,000 times! Dr. Michibata came as an assistant professor. 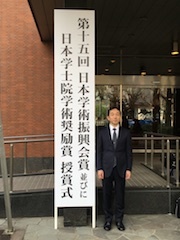 Prof. Takemura attended the Expert Meeting on Short-Lived Climate Forcers of the Intergovenmental Panel on Climate Change (IPCC) with an selection by IPCC. 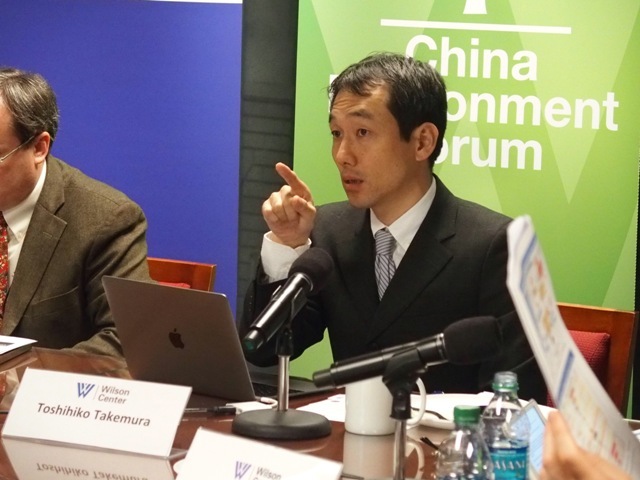 Prof. Takemura gave a lecture at the Science Policy Dialogue of Climate and Clean Air Coalition (CCAC). A novel research using SPRINTARS has been published in Nature Communications. Prof. Takemura has received a certificate of 2017 Highly Cited Researcher. 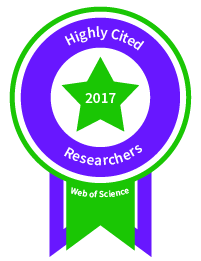 Prof. Takemura is listed in 2017 Highly Cited Researchers. This is 4-years consecutive selection for Highly Cited Researchers. In Highly Cited Researchers, authors writing highly cited papers are listed in each research field, and Prof. Takemura is listed in Geosciences. 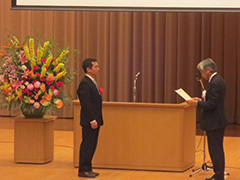 A Ph.D. student, Takuro Michibata, received a Ph.D. (Doctor of Science). The conferment is a half-year earlyer than normal. 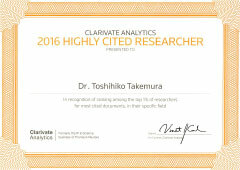 Prof. Takemura has received a certificate of 2016 Highly Cited Researcher from Clarivate Analytics (former Thomson Reuters). Introduction movie of the Prof. Takemura's research is uploaded in "Movie Theater in the Forest" of the homepage of Kyushu University. A refereed paper has been published in Atmospheric Chemistry and Physics, which was written by a Ph.D. student, Takuro Michibata, as a first author. 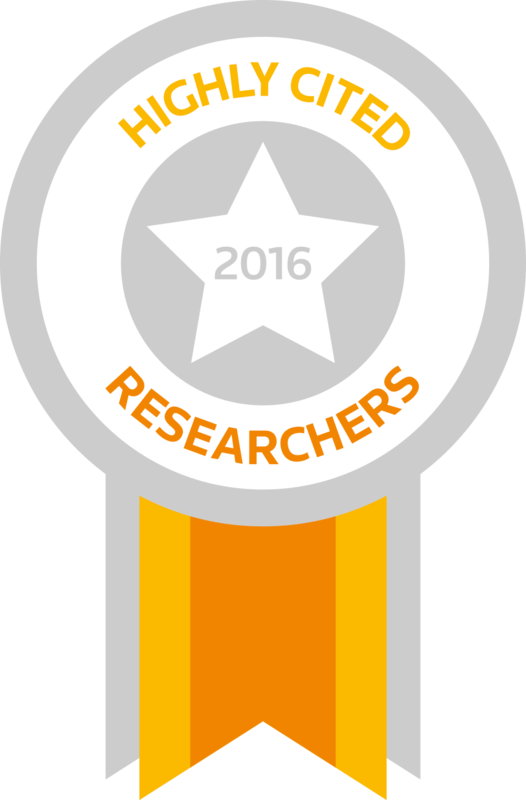 Prof. Takemura is listed in Highly Cited Researchers 2016. This is 3-years consecutive selection for Highly Cited Researchers. In Highly Cited Researchers, authors writing highly cited papers are listed in each research field, and Prof. Takemura is listed in Geosciences. 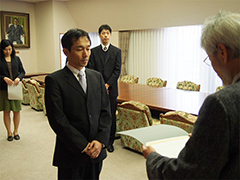 Assistant Prof. Eguchi moves from Atmospheric Physics Section. A novel research using SPRINTARS has been published in Scietific Reports. 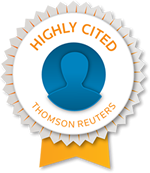 Prof. Takemura is listed in Highly Cited Researchers 2015 by Thomson Reuters. This is 2-years consecutive selection for Highly Cited Researchers. In Highly Cited Researchers, authors writing highly cited papers are listed in each research field, and Prof. Takemura is listed in Geosciences. This information is also published in a report "The World's Most Influential Scientific Minds 2015". 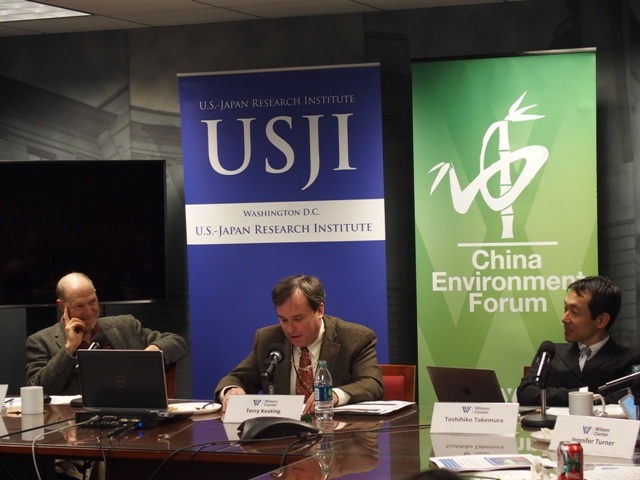 Prof. Takemura attendted a seminar on transboundary air pollution in Asia jointly held by U.S.-Japan Research Institute and Wilson Center in Washington D.C., USA as a professional. A refereed paper has been published in Journal of Geophysical Research, which was written by a Ph.D. student, Takuro Michibata, as a first author. 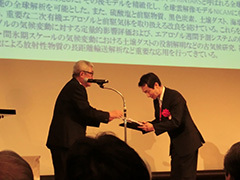 Prof. Takemura has received the Japan Geoscience Union Nishida Prize for achievements of development of a global aerosol model and researches on climate change due to aerosols. 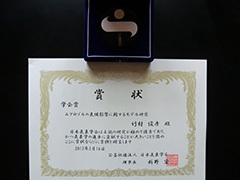 A master-course student, Takuro Michibata, received Award of Interdisciplinary Graduate School of Engineering Sciences, Kyushu University, due to excellent grades and a master thesis. Climate Change Science Section has started. Prof. Takemura was in Atmospheric Environment Modeling Section, RIAM, Kyushu University as a research associate and an associate professor from October 2001 to November 2014. A refereed paper has been published in Atmospheric Chemistry and Physics, which was written by a master-course student, Takuro Michibata, as a first author. 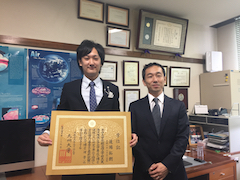 Associate Prof. Takemura (then) has received a certificate of 2014 Highly Cited Researcher from Thomson Reuters. Ph. 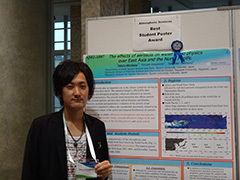 D. Student Takuro Michibata has received Best Student Poster Award in Asia Oceania Geosciences Society 11th Annual Meeting (AOGS2014). 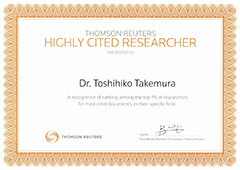 Associate Prof. Takemura (then) is listed in Highly Cited Researchers 2014 by Thomson Reuters. In Highly Cited Researchers, authors writing highly cited papers are listed in each research field, and Associate Prof. Takemura (then) is listed in Geosciences. This information is also published in a report "The World's Most Influential Scientific Minds 2014". The full report of the Fifth Assessment Report (AR5) of the Working Group 1 (WG1) of the Intergovernmental Panel on Climate Change (IPCC) has been published on January 30, 2014, in which Associate Prof. Takemura (then) participated as a Lead Author. 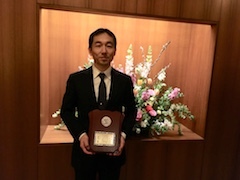 Associate Prof. Takemura (then) has received the Society Award of Meteorological Society of Japan for achievements of modeling researches on climate effects of aerosols. Copyright © Climate Change Science Section, RIAM, Kyushu University. All Rights Reserved.